The Japan coach Nishino is sure to make changes to his side for the match against Colombia on Tuesday. Some of these changes might be enforced as it was revealed yesterday that Shinji Okazaki the Leicester City forward is struggling with a calf strain. As the players took part in some light training at their base in Kazan, Okazaki was not involved. There is still a few days for him to shake this off however and am sure Nishino will give it as long as he possibly can before he names his team for his first competitive match in charge of Japan. 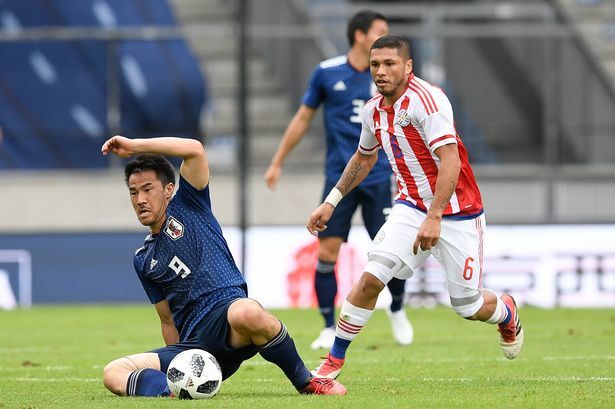 Okazaki as not played for his club since February due to injury but he has managed over 100 minutes in two World Cup warm-up matches over the last few weeks against Ghana and Paraguay. The player, then, is confident he will be fit in time for the match against Colombia and showed his importance to his country by playing his part last week in Japan's win against Paraguay. There is no doubt that the Japan faithful will be desperate for the man with 113 caps to be ready for his countries first match.